It’s not a topic we like to talk about in church circles, but more than a third of people may develop an eating disorder in their lifetime. My guests today tackle this difficult issue head on with practical advice, candid stories and so much grace. 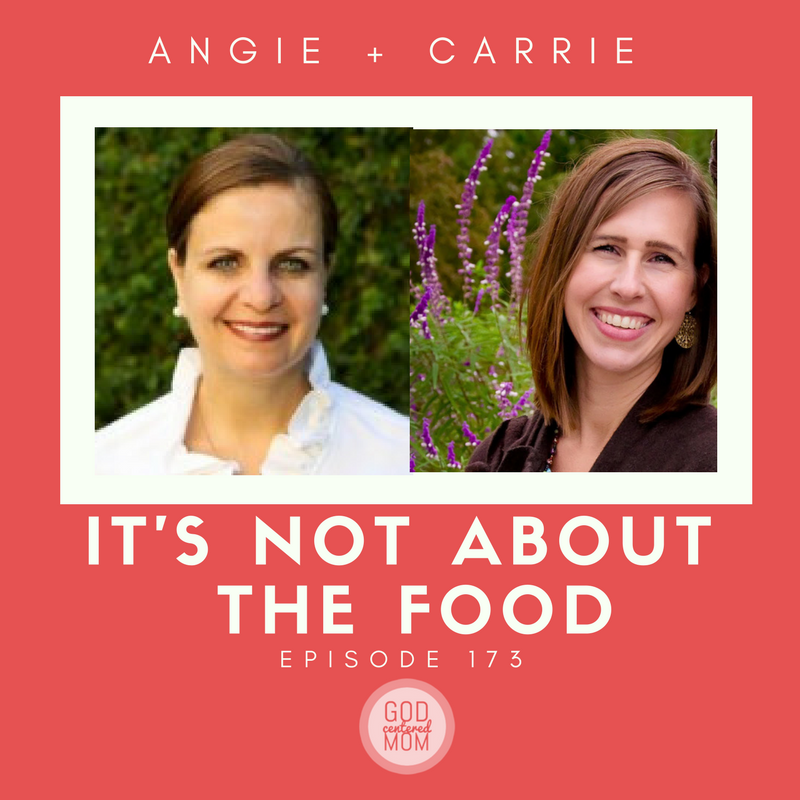 My longtime friend Carrie Cassell shares about her 20+ year struggle with wrapping her identity around eating and control and how she finally found freedom. And her licensed therapist Angie Buja speaks into how we can tackle this issue as parents and how to respond if we think our daughter or son might be struggling with body image and food. This was an episode that I needed to hear. My sister is currently going through this situation. It was so helpful to listen from a direct perspective to help me understand of my role in helping her as it is hard to not step in and want to “fix” her. To truly understand it’s not about me or anyone else it’s about God and her journey with him. But, to hear of ways to encourage, be a support and to help my dad who is struggling most with this change in her was so helpful. Thank you so much for your podcasts! Every week I am encouraged and inspired and it’s a weekly dose of reminding me how resilient we are under the grace of God!